Jazz record labels tend to have a specific persona and ethos that is consistent during their successful years. Verve Records was the brain child of jazz impresario Norman Granz and the recordings the company released in the early years bore his imprimatur. Similarly, the ethos of BlueNote records reflects the founder Alfred Lyons’ view of the jazz soundscape and, along with the masterful sound engineering of Rudy Van Gelder, created the BlueNote sound. On the other side of the Atlantic in Munich, Germany Manfred Eicher founded the ECM label (Edition of Contemporary Music) that, like Verve and BlueNote, created a specific persona and sound. In this case it was unmistakably a creation of the founder Manfred Eischer. The ECM catalogue is filled with unique and interesting musicians and music. The label marketed, and continues to market, an incredible collection of some of the most significant jazz musicians of the day including Keith Jarret, Ralph Towner, Pat Metheny, Gary Burton, Chick Corea, Charlie Haden, Dave Holland, etc. Although,mostly a jazz recording label, it has explored many alternative approaches to music. Most notably in the recordings of Jan Gabarek, L. Shankar, Steve Tibbetts and, of course the music of the Tunisian Oud player Anouar Brahem. My first encounter with this musician was the ECM recording Astrakan Cafe that, along with the Oud playing of Anauor, also featured the percussion of Lassad Hosni (bendir and darbuka) and the clarinet of Turkish musician Barbaros Erkose. First of all, Anauor Brahem plays the Arab Oud, an instrument that is the ancestor of all guitar like instruments. His approach is a little different from the classic Arab musician in that as well as the folkloric repertoire he explores a number of eclectic musical offerings within a number of unique musical configurations. As mentioned in Wikipedia his playing style is often compared to the Lebanese musician Rabih Abou-Khalil who is well known for fusing traditional Arab music with Jazz, European Classical music and other styles. Anouar’s compositions are considered to be more mellow and spare and this he achieves by utilizing ensembles of three or four musicians and unusual combination of instruments. A quick glance at his ECM discography gives you some idea of his musical approach. Barzakh ECM 1432 (1991) with fellow Tunisian musicians Bechir Selmi on violin and Lassad Hosni on percussion. Conte de L’Incroyable ECM 1457 (1992) with Barbaros Erkose (Turkish) on clarinet, Kudsi Erguner (Turkish) on the Ney Flute and Lassad Hosni (Tunisian) on percussion. The Silences of the Palaces (1994) Film music for the Tunisian movie of the same name. Astrakan Cafe ECM 1718 (2000) with Barbaros Erkose (Turkish) on clarinet and Lassad Hosni (Tunisian) on percussion. Recorded in a monastery in Austria. Le Pas du Chat Noir ECM 1792 (2002) with Francois Couturier (? French) on piano and Jean-Louis Matinier (French) on accordion recorded in Zurich. Le Voyage de Sahar ECM 1915 (2006) with Francois Couturier (? French) on piano and Jean-Louis Matinier (French) recorded in Lugano, Switzerland. The Astounding Eyes of Rita ECM 2075 (2009) with Klaus Gesing: bass clarinet; Björn Meyer: bass; Khaled Yassine: darbouka, bendir. Recorded in Udine, Italy. I have been, and still are, completely captivated by ethereal sound of the Astrakan Cafe ECM 1718 (2000) recording and the title track is one of my all time favorite pieces of music. So much so that I got my hands on a Godin MultiOud. This is an instrument manufactured in Quebec and for want of a better description it is a recent attempt to emulate the traditional Oud for a guitar friendly clientele. It is a fret less nylon strung instrument with a single bass string and the remaining 10 strings as 5 courses of unison strings. The strings can be tuned in a number of traditional systems (Turkish, Turkish/Armenian, Arabic, Syrian or Egyptian). 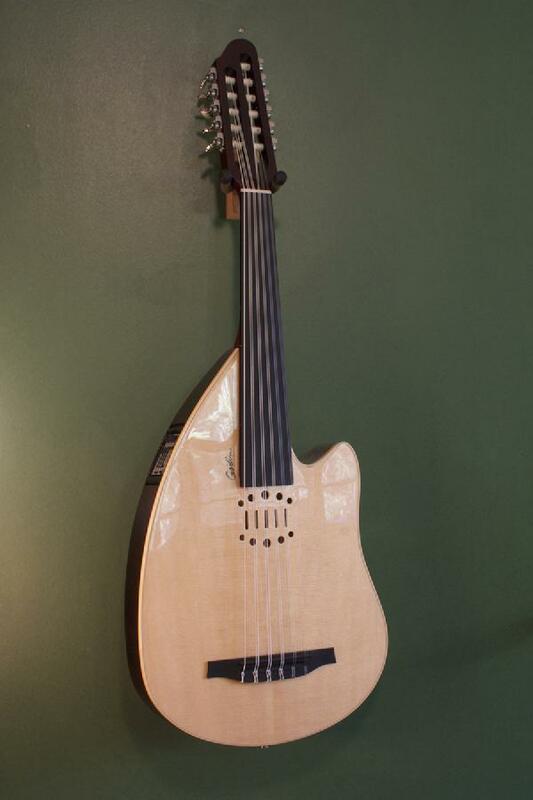 Godin, the manufacturer of the instrument, suggests using the Syrian system – F A D G C F (low string to high). I believe this is the system Anouar Brahem uses. Because I play a number of other similar instruments I have chose to use a modified Syrian system – D A D G F C). Like the traditional Oud the MultiOud is played with a unique plectrum called a mezraab/mizrap in Farsi and Turkish and Reesha in Arabic. While purists are probably not convinced that the MultiOud is a valid vehicle for authentic Oud music it is, to my ear, pretty convincing. It has a number of advantages over the traditional Oud. The friction tuning pegs have been replaced with the more conventional guitar tuners. The flat backed body is more comfortable for a performer. The cut away body makes it easier to reach higher positions on the neck. The built in Fishman Tuner and pickup has a number of variable parameters to allow the performer to sculpt a preferable sound. 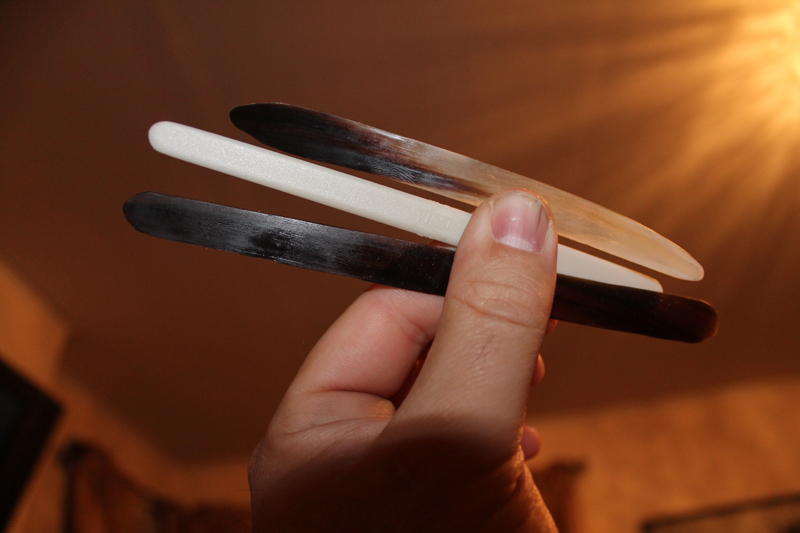 For guitarists one of the major hurdles to playing the Oud or the MultiOud is getting used to the fret less fingerboard. I am still struggling with the MultiOud but my ambition is to one day play a credible version of the Astrakan Cafe. Check the above link to see and hear the tune in all its glory and revel in the incredible sound and ambience of the music and marvel at Anouar’s snappy syncopation and improvisations. Below are a couple more links of Anouar in small ensemble environments. Of the three, the last one Stopover at Djibouti, is my favorite. I particularly like Björn Meyer tapping five string bass part and Khaled Yassine adroit combination of of the Turkish darbouka and the bendir (frame drum). I believe the bass clarinet is played by Klaus Gesing. When you stop and think about it. It is an unusual combination of “instruments in the basement”, bass clarinet, electric bass and Oud all way down there with the darbouka and bendir flitting around to provide sonic relief and rhythmic integration. All in all it is very interesting stuff.